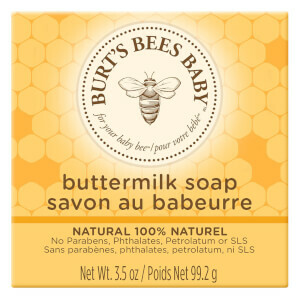 Wave bye bye to dry skin with Burt’s Bees Baby Bee Nourishing Lotion. Your baby’s sensitive skin will just love the rich, creamy lotion that soothes with natural ingredients to leave tender skin soft and delicately scented for cuddle time! Blending real buttermilk, aloe and sunflower oil, Burt’s Bees Baby Bee Nourishing Lotion treats the skin of your little bundle of joy to a deeply moisturising experience, without any potentially harmful ingredients, to leave it soft and healthy. Apply lotion all over baby’s body as often as desired.